Brigus SeaSalt & Thyme is an exquisite retreat destination nestled within the historic seaport of Brigus, Newfoundland. Just an hour drive from St. John’s, this charming town is best known as the birth place of famed arctic explorer Bob Bartlett and has long been recognized as the original ‘Gateway to the North’. 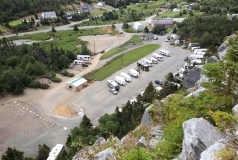 Home of the very popular, annual Blueberry Festival, Brigus attracts thousands of visitors annually. We invite you to explore the Town and the tranquility and beauty it has to offer, which makes Brigus SeaSalt & Thyme the perfect escape. The Brittoner is a historic home - 160 years old. located in the Heart of Brigus. Near all sites - Hawthorne Cottage Museum, Gardens (home of Arctic Explorer, Capt. Bob Bartlett). Hiking trails nearby, tennis courts across the street. Large sitting--out area--located on pond. BrigHouse Vacation Home is a spacious home away from home. 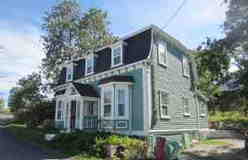 3 story, fully furnished,5 bedroom,2 bath house located in the heart of historic Brigus. Home includes: washer and dryer, cable TV, internet access, and propane BBQ. Home is located on a large grassed lot,with plenty of room for your children to play. BrigHouse Vacation Cottage available until September for nightly rental ...one bedroom cottage. Can accommodate four people. One queen bed and one queen sofa bed. $100.00 per night. $500.00/ week. Landfall Cottage - Registered Historic Structure - was built in the late 1700s or early 1800s. It is one of the last remaining structures of its vintage and is of substantial historical significance. During 1914-15, the cottage was rented to acclaimed American artist, adventurer and writer Rockwell Kent whose subsequent fame brought considerable notoriety and attention to the property. is not occupied by an artist-in-residence, it is available as a vacation retreat from May to October. Income generated from cottage vacations rentals support the programs of the Trust and operation of the cottage. 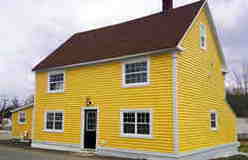 Restored heritage house in the quaint and historic Town of Brigus. Centrally located and within walking distance of all the town has to offer, including restaurants, museums, hiking trails, antiques & collectibles shop, picnic areas and the Atlantic Ocean. 3 Bedrooms, 2 Baths, Sleeps 5. Pinkston's Hospitality Home, the home where Bobby Pinkston and his family resided for as long as anyone can remember, thus it would be only fitting that Brigus Properties would continue to keep the tradition alive. With the summer coming and this beautiful little town starting to bloom with it's flowers, trees and heritage properties, take a moment and visit the pictures as we have rental nights available most weekends and weekdays. This beautiful home is located right in middle of it all with the ocean views out front and pond views from bedrooms and dining room. This 3 bedroom home has it all: open plan living area, with comfortable seating and a dining room perfect for family diners, fully equipped kitchen, full laundry, and even a garage. Each of the three bedrooms is tastefully appointed and all beds are top quality king coil mattresses and 100% cotton sheets. Walk to all attractions, restaurants, cafes, and shopping.